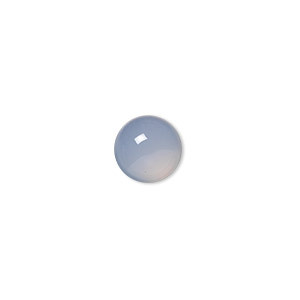 Item Number: H20-2974CB Have a question about this item? 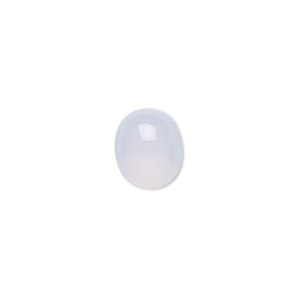 A beautiful blue, sometimes known as the "blue-mist," chalcedony is semitranslucent, blending with pearls and pastel tones. 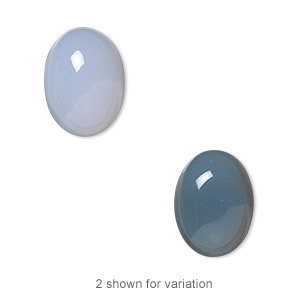 They will vary in color intensity. 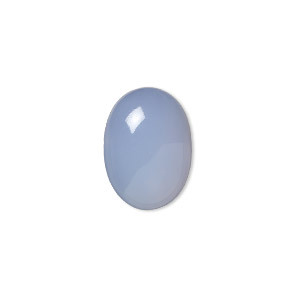 Chalcedony was used for cameos in ancient times. Sizes, shapes and colors may vary with handcrafted items. 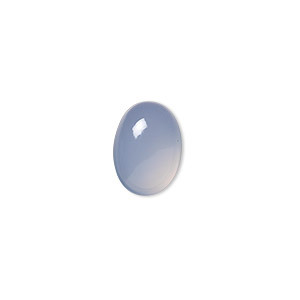 Cabochon, blue chalcedony (natural), 12x10mm hand-cut calibrated oval, B grade, Mohs hardness 6-1/2 to 7. Sold individually. Cabochon, blue chalcedony (natural), 7x5mm hand-cut calibrated oval, B grade, Mohs hardness 6-1/2 to 7. Sold per pkg of 6.